Our Culture defines who we are. It sets forth our aims and principles of our company. Our success is based on the shared values and commitment of the men and women who are building our company for the future, on discovering creative and innovative ways to do things, on improving the value of our services to our customers, on building strong relationships with our customers, and on seeking excellence in everything we do. Integrity is our guiding principle. We stand behind what we say we will do for our customers, our investors and our people. We meet the world head-on as upright, honest and sincere business people. We always turn square corners even if it means that we do not maximize the financial reward. So many Companies put their hand in the cookie jar when they feel that no one is looking. For this reason, we pay for independent auditors each year to perform an audit that we submit to our customers. At Dynasty, we don’t believe in shortcuts but doing things right the first time. The management team of Dynasty encourages our employees to invest their time, money and talent back into their communities. We believe giving to charities help to make our communities better places to live by helping to provide goods and services to people who might not otherwise have access to them. When we raise the standard of living for the least among us, we raise the standard of living in turn. Some believe that what they give are returned to them threefold, sevenfold, or even tenfold! Those who witness our giving are reminded that we are interdependent on one another for our care and well-being. May this reminder have a viral effect and motivate countless others to follow. Let us know of your favorite charity and as a client of Dynasty, we will donate a percentage of our fees to your charity of choice in your name! The world’s increasing globalization requires more interactions among people from diverse cultures, beliefs and backgrounds than ever before. People no longer live and work in an insular marketplace; they are now part of a worldwide economy with competition coming from nearly every part of the country. Diversity is beneficial to both associates and employers and for this reason. Dynasty Property Management & Sales is proud to reflect a multicultural workplace. The Certified Property Manager (CPM) designation is awarded to those who meet the standards set by the Institute of Real Estate Management (IREM) for real estate management professionals. The CPM designation is the only designation awarded to real estate management professionals covering all sectors – residential, commercial, retail and industrial. Collectively, IREM CPM members in the United States manage over 1.5 trillion in real estate assets including 8.4 million residential units and 8.4 billion net square feet of commercial space. Due to their professionalism and vast experience, property owners and investors worldwide continually seek out the management services of IREM members. The Accredited Residential Manager certification from the Institute of Real Estate Management is awarded to managers of residential real estate properties who have met the Institute’s rigorous requirements in the areas of professional education, examination and experience. The six uniques qualities that set us apart from other managers are Industry knowledge, problem-solving skills, ability to add value to your investment, integrity and ethical standards. 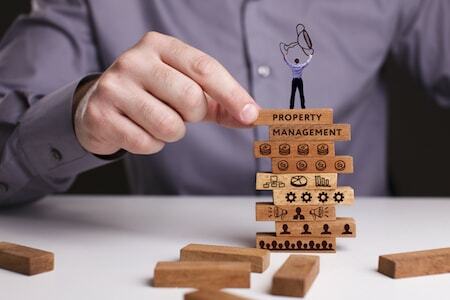 The Certified Apartment Portfolio Supervisor program is an in-depth review of property management principles and techniques as used by the professional supervisor. From and owners and asset manager’s perspective, the property’s future values will be reflected through the containment of expenses, asset appearance, resident credit worthiness, loan compliance and timely/intensive management of the property. Is is through the alignment of services and management discipline that the property’s full value can be maintained and dynamic growth occur. The above is paired with advanced training modules, managing compliance with Section 8, Section 236, Section 202 – 811 properties with tax credits. Those who hold the COS designation are, collectively responsible for administering billions of federal dollars each and every year. They are accountable to our residents and the American taxpayer. Holders of this designation are informed of the regulatory change that impacts occupancy related operations with subsidized housing.